Faz quase um ano que não posto nada aqui, ando sem tempo nenhum… hoje no site da Formula 1 eu vi um vídeo muito interessante sobre as diferenças nos volantes do Hamilton e do Rosberg, ambos pilotos da mesma equipe, acho que vale a pena darem uma conferida! How to match the gears in a gearbox? Hello Guys, today I’ll show you how to setup the gearbox relations for each gear. Let’s start establishing some hypothesis, the engine’s curve, top speed and climb ability. 2) Aerodynamic resistance: In lower speeds it’s totally inexpressive, but is fundamental to determine car’s top speed. 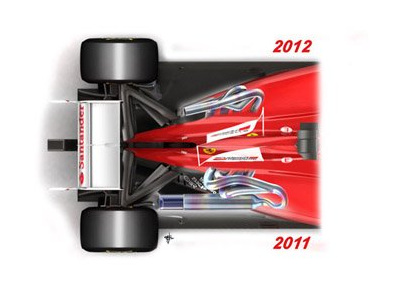 It’s the product between air’s density, car’s frontal area, drag coefficient and the square of car’s speed. 3) Inertia: In higher speeds it’s inexpressive too (for this analysis), but so significant when the car needs to start a movement. It’s the product between rotational inertia coefficient, vehicle’s mass and acceleration. 4) Slope: the most known force, product between mass, gravity and angle’s sine (sen). Now we can start to calculate the gears, beginning with the 5th, I would like my car can reach at least 210km/h and I’ll suppose the car get this speed in engine’s max power point, we call it optimum project. We can setup this speed to occur before or after this point, it will give us more top speed or more acceleration. Let’s choose the 5th gear relation 0.7:1, so the unique “variable” we don’t know is the differential, if we see the parenthesis like just one thing we will find a value for relation and dividing it by 0.7 we have the differential. For this case it’s 4.58:1. 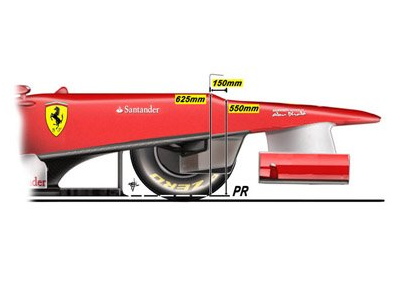 The top speed formula (in m/s) is: (raioDinamico = Dynamic radius, N = rpm),and for this case it’s 215km/h. Next problem now it’s to set 1st gear, defined by our ramp maximum inclination. Our resistant torque now is rolling resistance plus inertia and slope, in engine’s maximum torque (4650rpm). Solving this relation we have 2.82:1 for first gear. 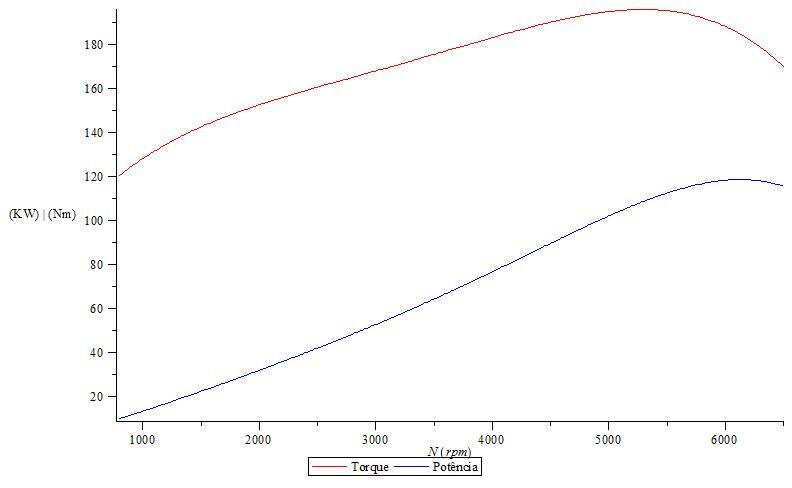 Now we have all gearbox defined and it’s possible to look at some interesting graphics, first of all we have a comparison between resistant torque in each gear and engine’s torque curve (in red). Notice that last curve touches engine’s torque curve at 6000rpm, setting our maximum speed, exactly like we wanted to. We could also calculate trative force and show vehicle performance map, but it’s for another post. That’s all for today, if any of you want to see the calculation I did, I can provide you a maple file with it, or the same thing in pdf for who don’t have this software. Como estabelecer uma relação de marchas? Olá pessoal, hoje vou fazer um post mais elaborado e colocar a “mão na massa”. Há algum tempo atrás nós fizemos um trabalho em projetos de veículos sobre matching. Eu já queria colocar isso aqui fazia algum tempo e resolvi que vai ser agora. 2) Resistência aerodinâmica: em baixas velocidades é totalmente desprezível, mas é fator fundamental para determinar a velocidade final do carro. É o produto entre a densidade do ar, a área frontal, o coeficiente de arrasto e o quadrado a velocidade do carro. 3) Inércia: em altas velocidades também é desprezível (para esse calculo que estamos fazendo), porém muito significativa quando o carro está parado e precisa arrancar. É determinada pelo produto entre o coeficiente de inércia rotacional, a massa do veiculo e a aceleração. 4) Aclive: a força mais conhecida, nossa velha de guerra… o produto entre massa, gravidade e o seno do ângulo. Conhecidos todos os dados podemos começar a estabelecer a relação de marchas a começar pela quinta, vou querer para o meu projeto no mínimo 210km/h de velocidade máxima e vou supor que eu alcanço essa velocidade no ponto de potência máxima do motor, o que se conhece por projeto ótimo, existem hipóteses com essa velocidade sendo atingida antes ou depois desse ponto que eu escolhi, isso vai mexer com aquela velha relação entre aceleração e top speed. Vamos escolher uma relação de 0.7:1 na quinta marcha então a única incógnita que resta é o diferencial, mas se tratarmos o parênteses da equação acima como uma coisa só, teremos um valor numérico que dividido por 0.7 vai nos dar o valor do diferencial, que para esse caso é de 4.58:1. A fórmula da velocidade máxima (em m/s) é: , e para esse caso, fazendo a conversão foi de aproximadamente 215km/h. Agora vamos ao nosso próximo problema, a inclinação máxima da rampa escolhida é quem vai determinar qual o valor devemos usar para a primeira marcha. 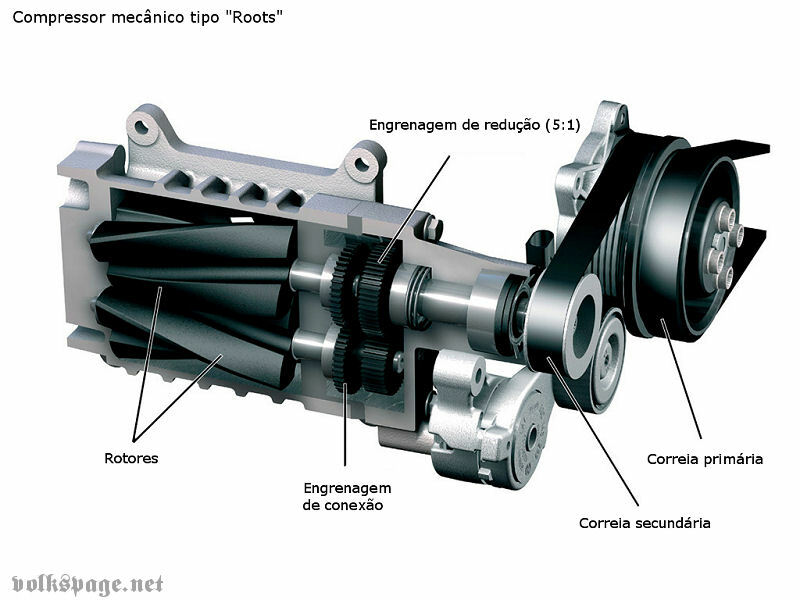 Vamos chamar de torque resistente dessa vez a soma entre a resistência ao rolamento, a inércia e o aclive, a equação é exatamente igual a da 5ª marcha, porém com a rotação de torque máximo do motor, que se dá em aproximadamente 4650rpm. Agora que nós já temos a primeira e a ultima marcha, já sabemos qual a velocidade máxima do carro e a capacidade de rampa, vamos encontrar as outras 3 marchas que faltam. Por incrível que pareça essa é a parte mais simples do calculo, existem basicamente dois tipos de métodos de se calcular as marchas intermediárias, o primeiro deles é o método por step geométrico que proporciona um passo constante entre as marchas, usado em caminhões pelo fato de ser bem mais simples pois alguns caminhões possuem uma quantidade muito grande de marchas. O método mais usado para os carros de rua é o progressivo, que privilegia a aceleração nas primeiras marchas e a velocidade nas finais. Feito isso, já temos nossa caixa de marchas definida. Vou mostrar alguns dados que podemos extrair a partir dessa relação de marchas. 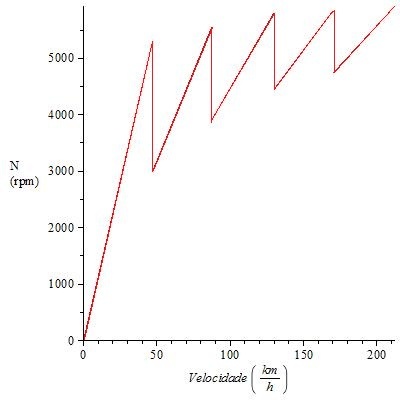 A primeira delas é uma comparação entre as curvas de torque resistente com o carro em cada marcha em relação ao torque do motor (em vermelho). Reparem que a ultima curva toca (se iguala) ao torque do motor em 6000rpm, definindo ai a nossa velocidade máxima exatamente como nós queríamos. Poderíamos também facilmente calcular a força trativa e mostrar o mapa de desempenho do veículo, mas isso é assunto para outro post. Pessoal por hoje é só, eu sei que fica meio complicado entender o que eu fiz porque boa parte dos cálculos foi omitida, mas eu tenho um arquivo do programa maple com todos os cálculos que me geraram esses gráficos e posso tranquilamente disponibilizar para vocês, para quem não tem o maple eu posso por em pdf também. Pessoal, esse é mais um vídeo interessante que eu vi no canal da Allianz no Facebook. Espero que gostem! How a turbo engine works? A long time ago I posted something in English here and I noticed that people from all over the world visited this blog, so I will try to translate everything here as soon as possible. Today I’ll talk a little bit of turbo engines and how it works, compare it with a normal engine and talk about some modifications to avoid destroying it. I don’t know if all of you know how a common aspirated engine works, so let’s start from beginning. In a common aspirated engine, when the intake valve opens the piston goes down and pulls the air from the intake to the cylinder. 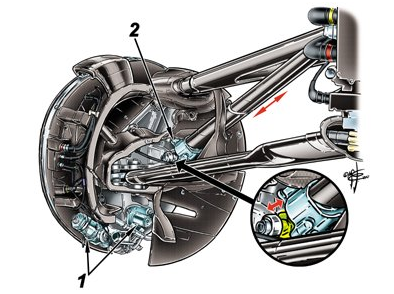 At something around 800RPM the engine is considered stable and the pistons have sufficient force to go down and aspirate the air, for this reason this kind of engine is called “aspirated”. 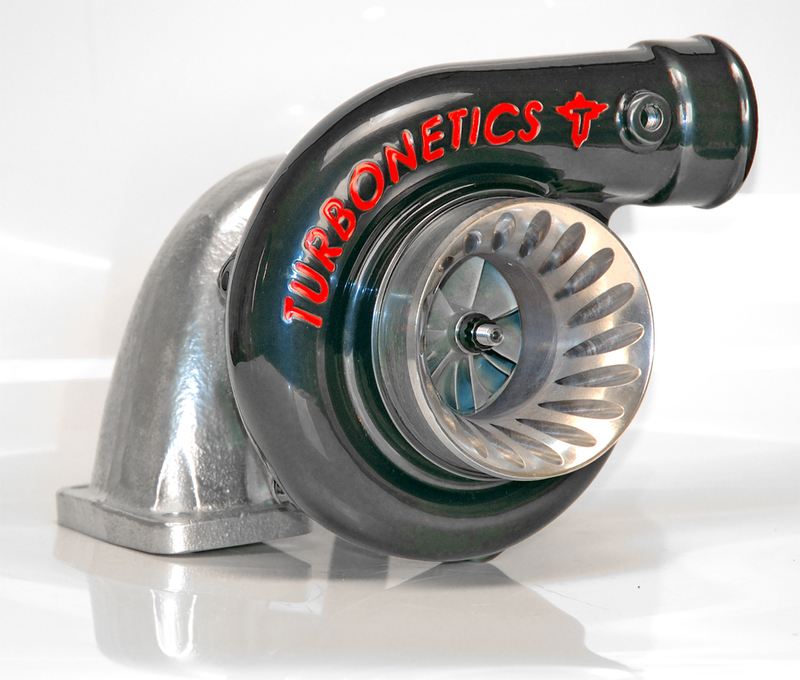 Turbo engines are the ones who uses forced induction of air, but how this induction works? Now is time to go to engine’s exhaust, from where the gases exit and instead of being thrown into the atmosphere, they are diverted to the turbine, where the gases will give sufficient kinetic energy to turn it. The turbine makes the compressor turn (once they have the same axis and the gases are turning the turbine), the compressor is responsible to send so much more air mass to the intake, generating a significant increase of pressure inside the cylinder, giving us what we want, more power! After reading it you must be impatient to put a turbo system in your car, but it’s not just put a turbo on it and start pushing to anywhere, some modifications must to come with the turbo installation, in lower pressures it’s not a big problem but is extremely recommended to do it. I’m talking about more resistant parts like: pistons, rods and exhaust made by forged steel. After doing it you may be safe. 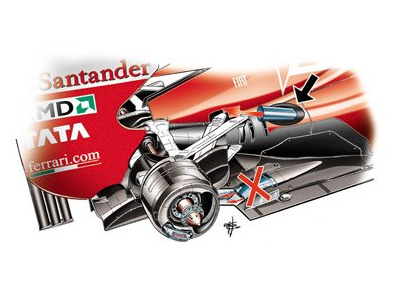 After going out the compressor, the air goes through an intercooler which is responsible for cooling it. 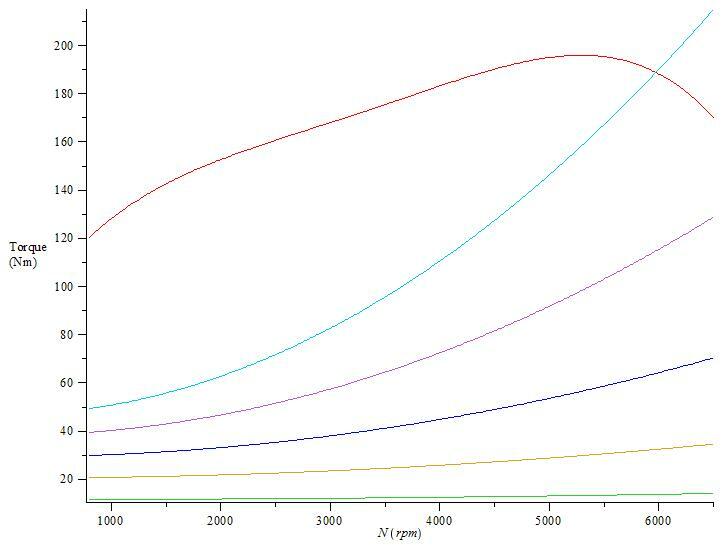 According the ideal gases equation (PV = NRT), for the same gas volume and pressure but in lower temperatures we can increase N, which means more air mass. Like the pressure, the quantity of air is important because the power is calculated based volumetric efficiency, that relates the air mass the cylinder can have and the real air mass it has, don’t forget that a bigger air mass implies in a greater torque too. Now I’ll put a figure and a video that shows what I said until now, I’m sorry it’s in Portuguese but I guess it’s not difficult to understand, on other hand, I studied vehicles for a longer time at my university, so this post for sure is better than the original version. 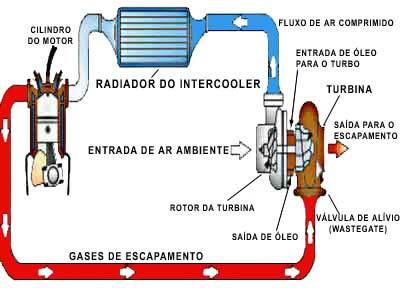 A common turbo works in a RPM range, it happens because the turbine needs the engine to be in a speed which generates the necessary volume of gas to start turning the turbine, this process is called “Turbo lag”. There are some way to solve turbo lag, we can for example use a volumetric compressor, that is 100% mechanic, linked the engine by pulleys and belts, in addiction to stop turbo lag, with this kind of compressor we can use the pulleys to limit the compressor’s rotation, limiting the pressure. 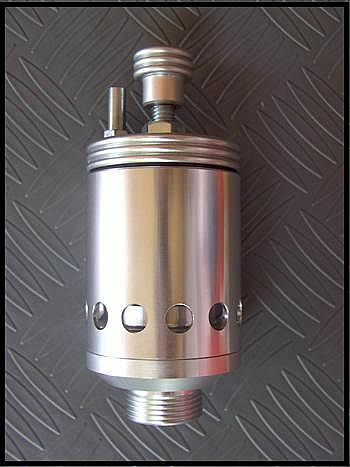 In a common turbine, there are some ways to limit the pressure, the most used by car’s manufacturers, is the wastegate valve, it opens when the air climbs until a limit pressure, preventing any damage caused by overpressure, another kind of valve is the priority valve, which does the same thing the wastegate valves but makes that characteristic turbo overpressure sound we know. I hope you enjoyed this post, and like I said in the beginning of this post I’ll try to translate all the things here as soon as possible. Estamos a menos de 1 mês da primeira corrida da temporada e como todo ano, algumas coisas mudaram na Fórmula 1. Neste post eu vou falar um pouco sobre as novas regras para a temporada, tanto na parte de situações de corrida, como na parte técnica (que é a mais legal! rs). Vou começar por uma proibição que já era anunciada desde o ano passado, em 2012 está proibida a canalização de ar do escape do motor para o difusor do carro. Como vocês devem lembrar em 2011 o nosso grande amigo Adrian Newey teve a brilhante idéia de canalizar o ar que saía do escapamento do motor e representava um ganho aerodinâmico para o carro. Veja abaixo a diferença entre o sistema de escapamento antigo e o novo. Repare que em 2011 o escapamento ia ate o final do carro onde jogava os gases no difusor, agora o escapamento termina bem antes e se localiza na parte de cima do carro e só serão permitidas 2 saídas, uma de cada lado do “V” do motor. A regra foi elaborada visando aumentar a segurança em caso de colisão, de acordo com o novo regulamento, a altura máxima da frente do carro tem que ser de 550mm, até o ano passado os carros tinham em média 625mm. Essa diminuição da altura (segundo os engenheiros da equipe) causaria uma perda aerodinâmica em função do rebaixamento da traseira do carro. A mudança deu origem a carros digamos estranhos, com o que o pessoal tem chamado de “degrau aerodinâmico”. Em novembro do ano passado a Lotus testou a peça em Abu Dhabi e se eu bem me lembro, foi exatamente a mesma coisa que a Renault tentou usar no carro do Alonso em 2006, Alonso chegou a usar tal recurso mas a FIA considerou ilegal. O sistema funciona por meio de “atuadores” e mantém o carro com altura constante durante as curvas, isso faz com que o veículo ganhe uma estabilidade considerável e também melhora o escoamento do ar pela carroceria. Segundo o regulamento atual, nenhum equipamento pode influenciar na aerodinâmica do carro, excluindo é claro o DRS. A Lotus contestou a decisão da FIA dizendo que a suspensao não era ativada pelo piloto e muito menos algum tipo de suspensão ativa, segundo eles os atuadores são “reativos” pois seriam atuados pelo torque que vem dos freios. O sistema funciona da seguinte forma: cilindros hidráulicos (1) adicionais foram conectados à pinça do freio que empurram o braço da suspensão (2) e assim mantém o carro com uma altura constante. – Crash tests mais rigorosos visando maior segurança em caso de colisão, caso reprovado em algum dos testes o carro fica impedido de fazer qualquer tipo de teste em pista. – Durante a entrada do Safety Car na pista, os carros que estão uma volta atrás poderão ultrapassar o pelotão e alinhar novamente no fim do grid, recuperando a volta perdida. Essa medida visa dar mais competitividade nas relargadas, ela já era adotada há alguns anos atrás e agora volta a valer. – Os pilotos não podem mais sair da pista sem algum motivo racional, cortar curvas para economizar combustível na volta de retorno ao Box, por exemplo, está proibido. – Além dos testes de pré-temporada, haverá um período de 3 dias durante a temporada em que será permitido testar os carros. – O piloto terá liberdade de usar os jogos de pneus a que tem direito da maneira que julgar melhor, o piloto poderá no primeiro treino usar todos os jogos de pneus, até 2011 eram permitidos somente 3 sets. – Caso a corrida seja paralisada, os carros que estiverem no Pit Lane e em condições de corrida, serão recolocados na pista na posição em que estavam quando a corrida foi interrompida. Espero que tenham gostado do post. Assim como vocês eu também estou impaciente, querendo que comece logo a temporada.